After Six Style 6651 Full length one shoulder empire waist lux chiffon dress w/ twist detail at draped bodice. Dessy Style 6651 Tutti, size 8 LAST ONE! NOW £50! Dessy Style 2880 Chiffon strapless dress with sweetheart neckline and banded rouch detail. American Beauty, size 8 LAST ONE! NOW £50! Dessy Style 2931 Full length strapless lux chiffon dress w/ sweetheart neckline and crossover draped bodice. Slightly shirred skirt. Slit at center front skirt. In Store: Colour Stormy, Size 12 LAST ONE! NOW £50! 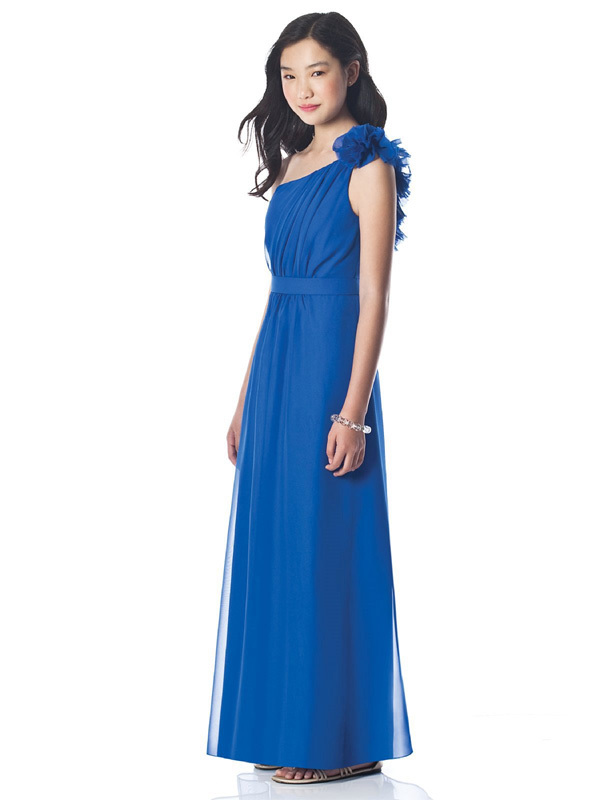 Dessy Style 2932 Full length lux chiffon dress w/ modified halter and sweetheart neckline. 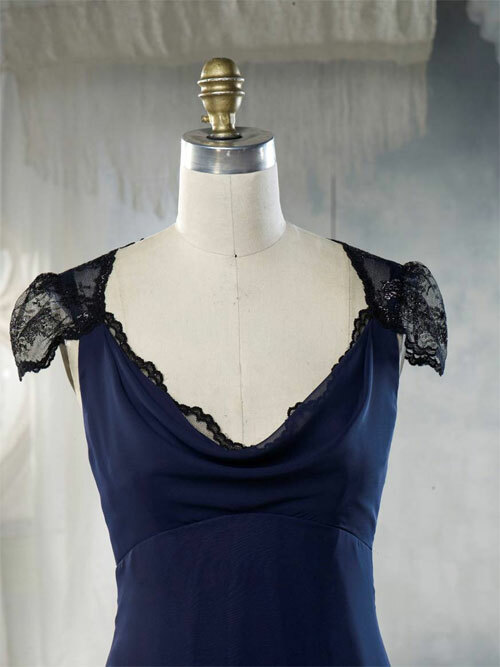 Crossover draped bodice and open back. Slightly shirred skirt. In Store: Size 8, Sunflower LAST ONE! NOW £50! Dessy Style 2943 Full length strapless lux chiffon dress with draped detail at front and back bodice. Slight sweetheart neckline. Matching 1.5" belt at natural waist. Shirred skirt. Available in over 80 different colours In Stock: Stormy, Size 16 LAST ONE! NOW £50! Dessy Style 2996 Full length mikado dress w/ halter neckline and criss cross spaghetti strap detail at open back. Trumpet skirt. center back zip In Stock: Vintage Teal, Size 10 LAST ONE! NOW £50! Dessy Style 2997 Full length draped one shoulder maracaine jersey dress w/ slit at side front of dress. side zipper In Store: Blush, Size 8 LAST ONE! NOW £50! Dessy Style 8163 Structured lines add a refined twist to this full length halter bridesmaid dress. In Store: White/Black, size 12 LAST ONE! NOW £50! Dessy Style JR611 One shoulder full length lux chiffon junior bridesmaid dress with shirred bodice and flower detail at shoulder. Matching belt at natural waist. In store: Persian Plum, age 8 LAST ONE! NOW £50! Dessy Style JR835 Full length lux chiffon junior bridesmaid dress with empire waist and shirred bodice and panel over a-line skirt. In store: Shamrock, age 12 LAST ONE! NOW £50! 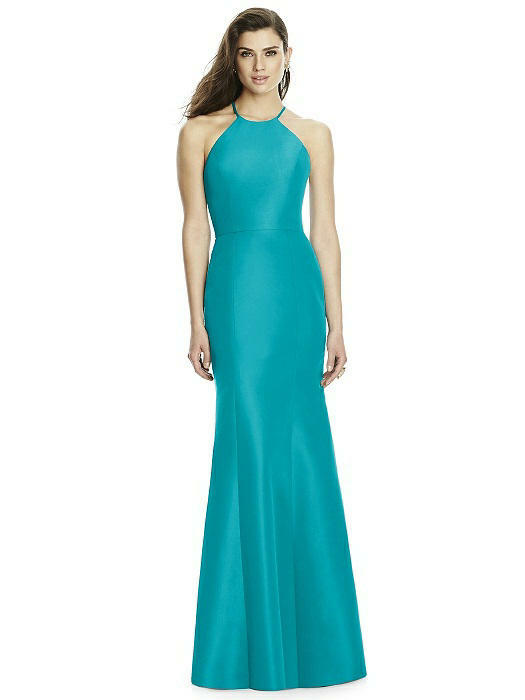 Jenny Yoo Style JY504 Full length convertible cap sleeve maracaine jersey dress with draped bodice. Shirred skirt. In store: Ginger, size 14 LAST ONE! NOW £50! Jenny Yoo Style JY512 The single shoulder design with delicate beaded applique shoulder accent are a stunning addition to the flattering blouson bodice and tailored circle skirt. Fetching femininity is captured in this lovely full-length Maracaine jersey bridesmaid dress with the graceful flutter sleeve. In Store: Platinum size 8 LAST ONE! NOW £50! Jenny Yoo Style JY514 The rouched cross over off the shoulder bodice is a study in stunning femininity. The shirred skirt cascades to the floor in a pool of delicate romance in this full-length off the shoulder chiffon knit bridesmaid dress. Available in Store: Smoke Blue size 14 LAST ONE! NOW £50! 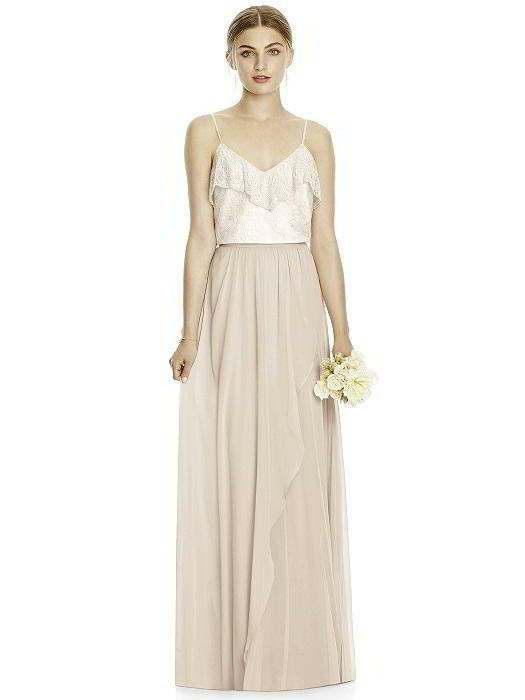 Jenny Yoo Style JY515 Chic elegance emanates from this chiffon knit bridesmaid dress with a sweetheart neckline and a figure flattering draped bodice. 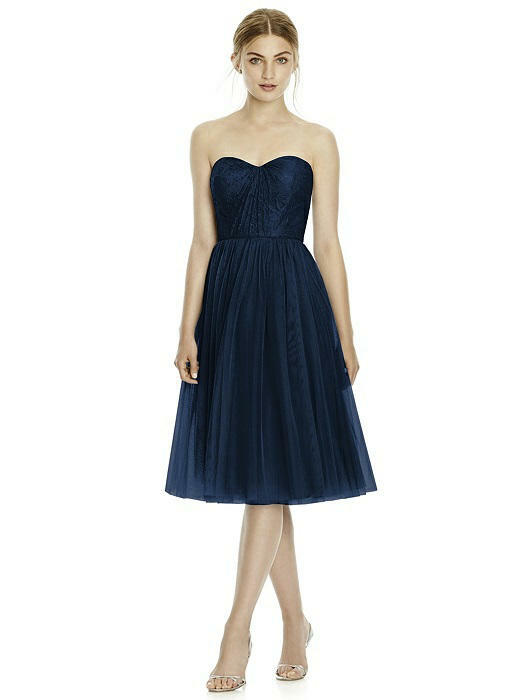 Exquisitely versatile, this full-length bridesmaid dress with convertible straps and a softly shirred skirt has it all. Available in Store: Apricot size 8 LAST ONE! NOW £50! Jenny Yoo Style JY535 Cocktail length strapless soft tulle convertible dress. Bodice is soft tulle over florentine lace. Full skirt. In Store: Midnight, Size 10 LAST ONE! NOW £50! Jenny Yoo Style JYS529 Florentine lace top has ruffle detail at slight V-neckline. Skirt sold separately. In Store: Oyster, size 12 LAST ONE! NOW £50! Jenny Yoo Style JYS531 Full length lux chiffon faux wrap circle has cascade drape detail at front. Top sold separately. In Store: Cameo, Size 10 LAST ONE! NOW £50! Jenny Yoo Style JYT527 Florentine lace top has ruffle detail at slight V-neckline. Skirt sold separately as style JYS529. 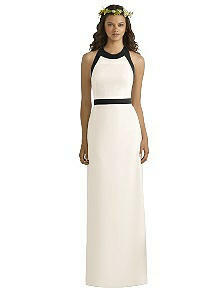 In Store: Ivory, Size 12 LAST ONE! NOW £50!